Metro Vancouver's last remaining transit-oriented development site of this scale and context. Comprised of over 12 acres of land, Gilmore Place is anticipated to feature approximately 450,000 square feet of newly constructed transit-oriented retail space with an inviting communal plaza and an abundance of residential development and over 1 million square feet of office, directly on-site. 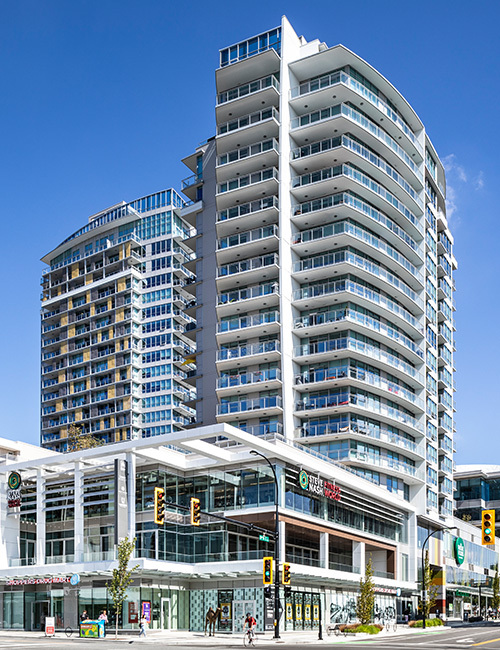 Gilmore Place is stationed in a hub of rapid development throughout Burnaby. 17% population growth within 1km of Gilmore Place over the past 5 years* with more to come over the next upcoming years. 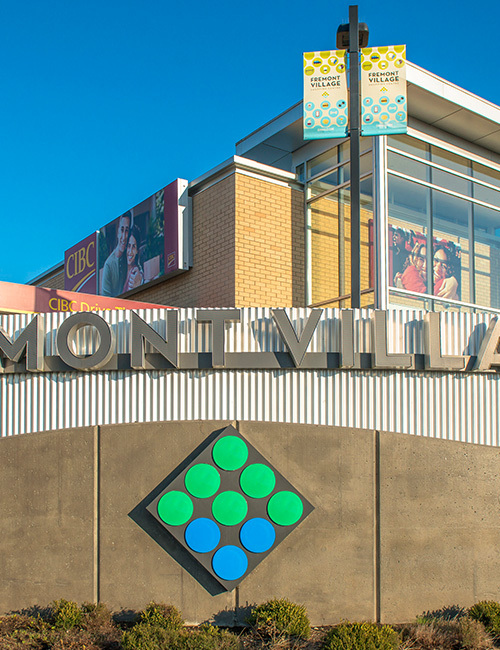 Gilmore Place features a diverse mix of restaurants, grocers, fashion, entertainment and general merchandise. 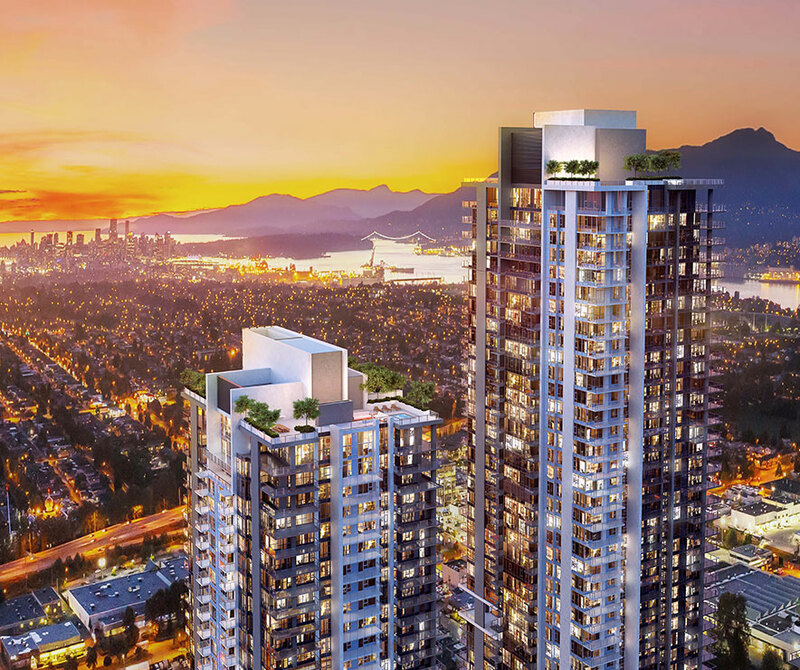 The projects offers highly visible locations on Lougheed Highway, Gilmore Avenue, and SkyTrain Station. Gilmore Place will be a vibrant community with the potential to provide up to 2.7 million square feet of residential development over 5 high rise towers. 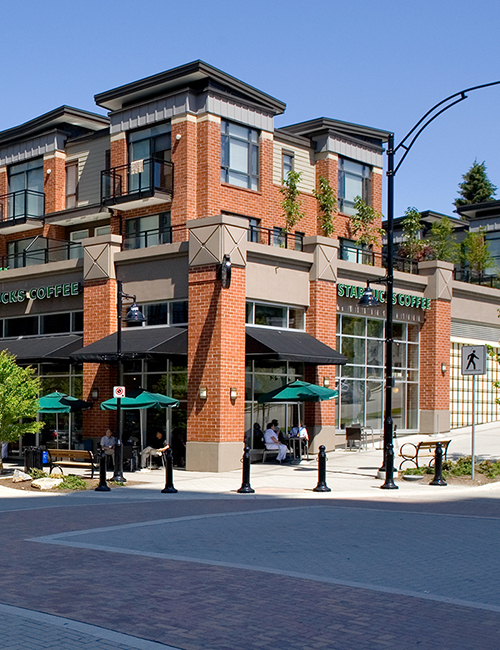 Gilmore Place is strategically located in the vibrant Brentwood region of North Burnaby. In addition, the SkyTrain Station situated on the property makes this one of the most attractive office opportunities in Metro Vancouver. This community will offer up to one million square feet of new sustainable office space. 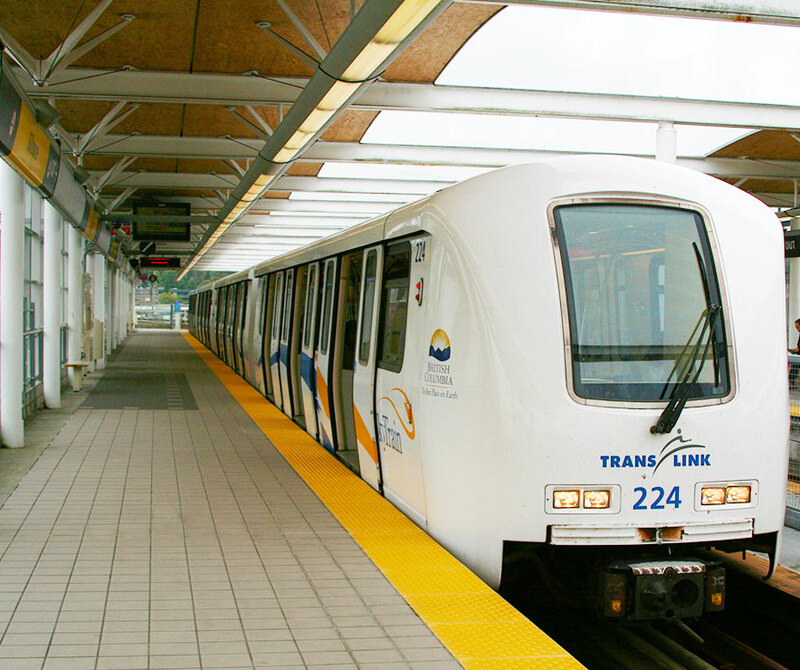 Gilmore Place is part of a greater network of SkyTrain stations that cater to approximately 50.5 million riders annually with the completion of the Evergreen Line, ridership on this line is projected to increase exponentially. 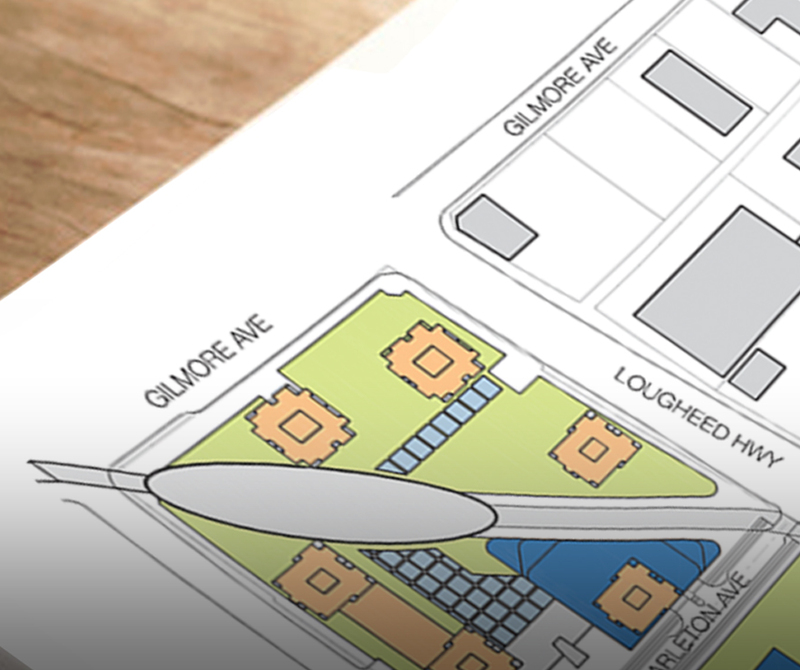 Located at the intersection of Lougheed Highway and Gilmore Avenue, this vibrant high-traffic retail community will be a draw for neighbouring communities, passers-by, and residents alike. 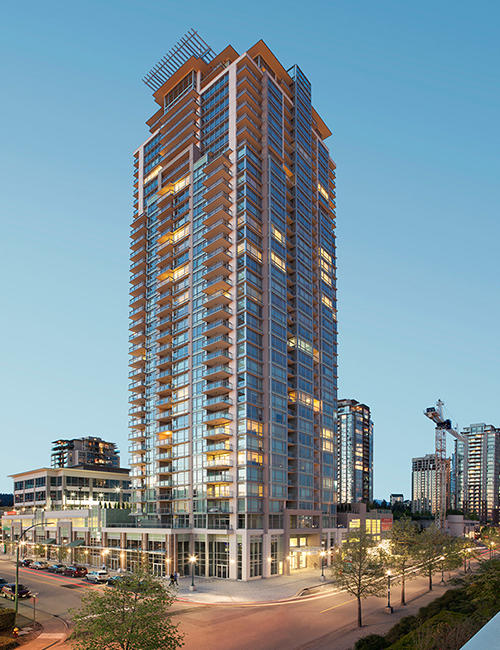 Its prime location connects the Gilmore Place community to the rest of Metro Vancouver. Check out the flythrough below for a sneak peek of what Burnaby's most anticipated new transit oriented community will look like! Gilmore Place is part of Burnaby's larger revitalization and transit-oriented urban growth masterplan. 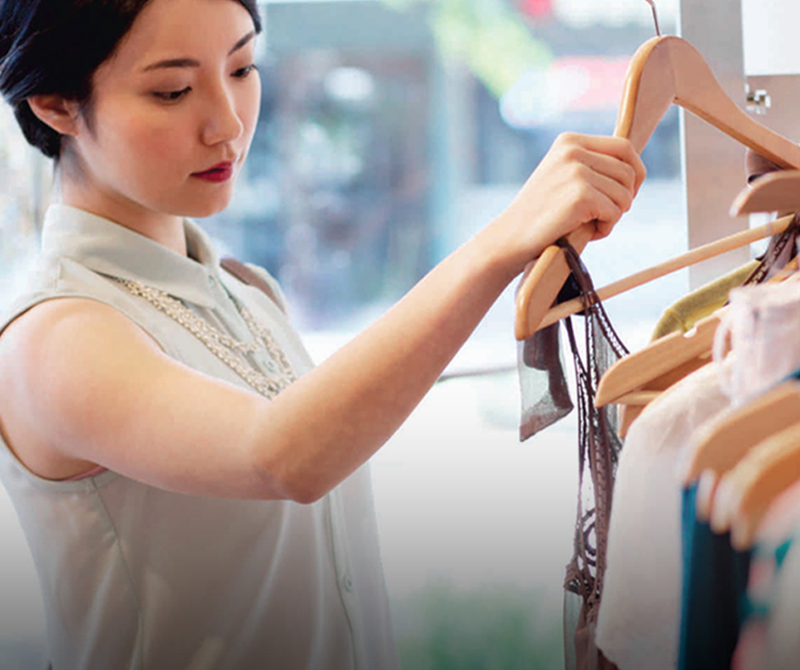 Located at the intersection of Lougheed Highway and Gilmore Avenue, this vibrant high-traffic retail community will draw neighbouring communities, passers-by, and residents alike. 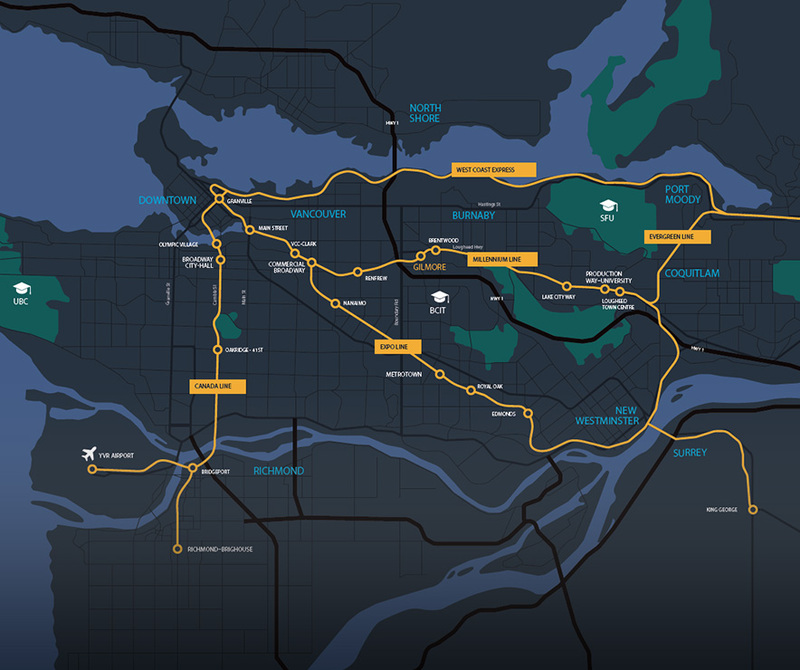 Its prime location at Gilmore SkyTrain Station connects the Gilmore Place community to the rest of Metro Vancouver. 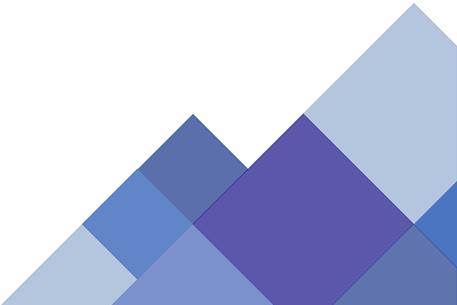 The Onni Group is one of North America’s leading private real estate developers, with extensive experience designing, developing, building and managing innovative projects. As a fully integrated company that directly oversees every step in the development process, Onni has constructed over 15,000 new homes, owns and manages more than 7,200 rental apartments, built more than 10.5 million sq.ft. 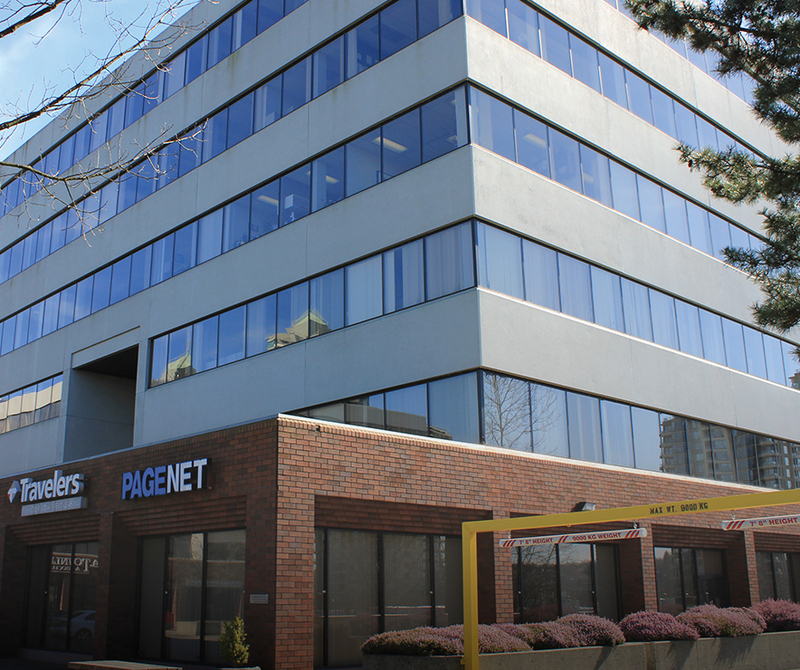 of office, retail and industrial space, and have an additional 28 million sq.ft. of space in different phases of development. 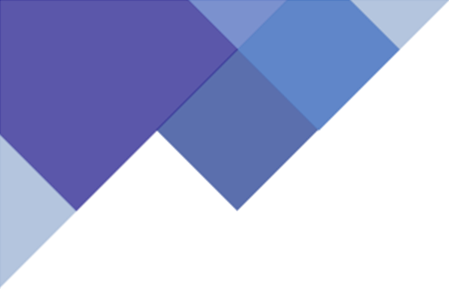 With offices in Vancouver, Toronto, Chicago, Los Angeles, Seattle, Phoenix and Mexico, Onni continues to expand and diversify into new markets throughout North America. The first phase of Gilmore Place is preleasing now! For more retail and office leasing information, please contact Andrew Laurie at alaurie@onni.com or fill out the form below.